Out of the ashes of its dark past, Woodbury, Georgia, becomes an oasis of safety amidst the plague of the walking dead, a town reborn in the wake of its former tyrannical leader, Philip Blake, aka The Governor. 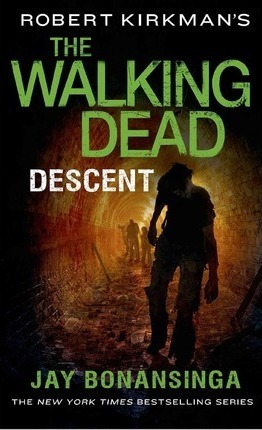 Blake's legacy of madness still haunts this little walled community but Lilly Caul and a small ragtag band of survivors are determined to overcome their traumatic past...even as a vast stampede of zombies is closing in on them. Soon Lilly and the beleaguered townspeople must join forces with a mysterious religious sect fresh from the wilderness. Led by an enigmatic preacher named Jeremiah, this rogue church group seems tailor-made for Woodbury and Lilly's dream of a democratic, family-friendly future. But Jeremiah and his followers harbor a dark secret, the evidence of which very gradually begins to unravel. Now Lilly is caught in the dark center of a growing conflict...and it will take all of her instincts and skills to survive both the living and the dead. JAY BONANSINGA is the New York Times bestselling author of twenty books, including the Bram Stoker finalist The Black Mariah (1994), the International Thriller Writers Award finalist Shattered (2007), and the wildly popular Walking Dead novels. Jay's work has been translated into eleven languages, and he has been called "one of the most imaginative writers of thrillers" by Chicago Tribune. He lives in the Chicago area with his wife, the photographer Jill Norton, and his two teenage boys, and is currently hard at work on the next Walking Dead book.